Formed in the early 1970s from within a children’s summer holiday project, The Hackney Adventure Holiday Project, and now in its 48th year. The Imps from humble beginnings, serving the poorer children of the community of East London, have achieved much from performing at The Royal Edinburgh Military Tattoo 11 times and have travelled far and wide thrilling audiences with their slick, skillful and often humorous performances. 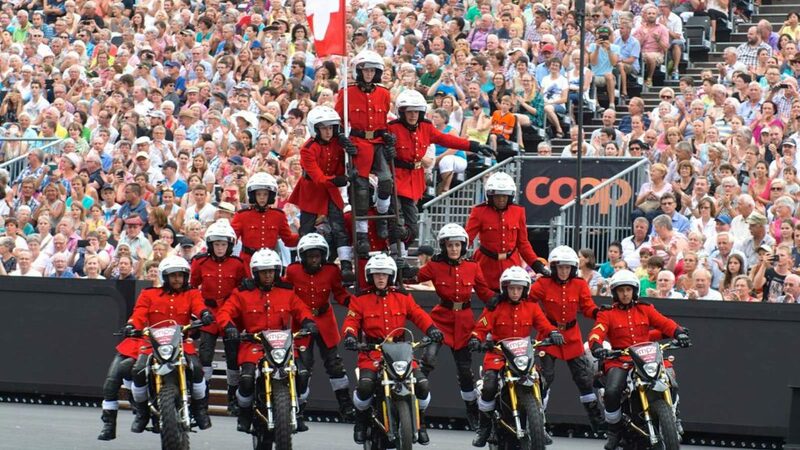 From Singapore to Bermuda, Switzerland to the USA and many other countries the latest being The Royal Nova Scotia International Tattoo in Halifax, Nova Scotia Canada -the Imps entertain. You do not have to like motorcycles to enjoy their presentations; they will have you on the edge of your seats and jumping with joy at their antics. Aged from five to sixteen years they have true family appeal with their cheeky east end fun and thrills. Many of our former members do very well in life, running their own companies, working in aviation and a whole range of careers and the team members remain friends for life, the current team have a number of members whose parents rode with the team. We hope you enjoy meeting this smartly turned out disciplined group.